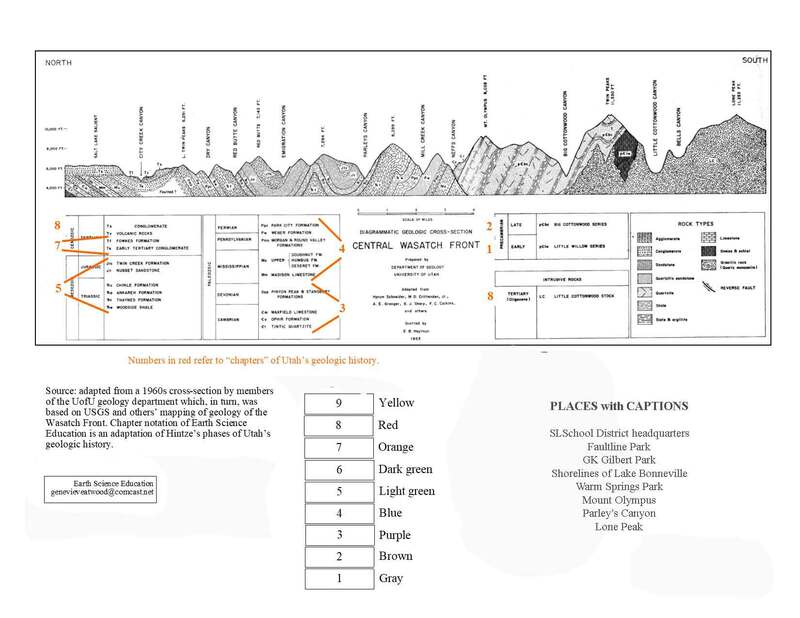 FINAL PROJECT – Insert images into the “panorama” of Wasatch Front geology (done at Sugar House) and write captions for the images. BE PREPARED… We start the final project in class at Sugar House. You’ll need images for the following places to complete the final project. SLSchool District headquarters– (session 1). Image of terrain of valley. Faultline Park – (session 2). Image showing SLCity is in a basin of the Basin and Range. GK Gilbert Park vista looking east. (homework 2 due before field trip). Image of faults and glacial moraines at canyon mouth. Shorelines of Lake Bonneville – (session 4 – UofU Huntsman or many places will do). Image of shorelines of Lake Bonneville. Warm Springs Park (homework 4 due at Sugar House). 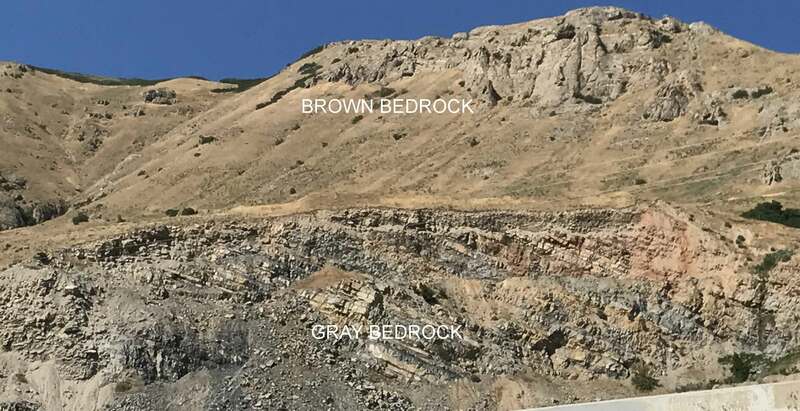 Image of gray bedrock below brown bedrock. Mount Olympus (take an image) Should be easy as Mt Olympus can be seen from almost anywhere in the valley. Parley’s Canyon’ (take an image of tilted red rocks). Be careful: stop where you are safe to take image. Lone Peak (take an image of the peak). Lone Peak can be seen from most places in the valley. The geologic panorama from the session at Sugar House Park “the answers.” Use it and your bright eyes! For example, for Lone Peak, what is the evidence from the panorama that the bedrock of Lone Peak is younger than that of Mount Olympus? Below is an example of IMAGE and CAPTION for Warm Springs Park. It’s okay to use your own format. It’s okay to work together but not okay to submit all the same images and captions. We know it is tempting… but don’t steal your colleagues’ education. We want to see that you can see patterns and think about them. It isn’t about getting it “right”! 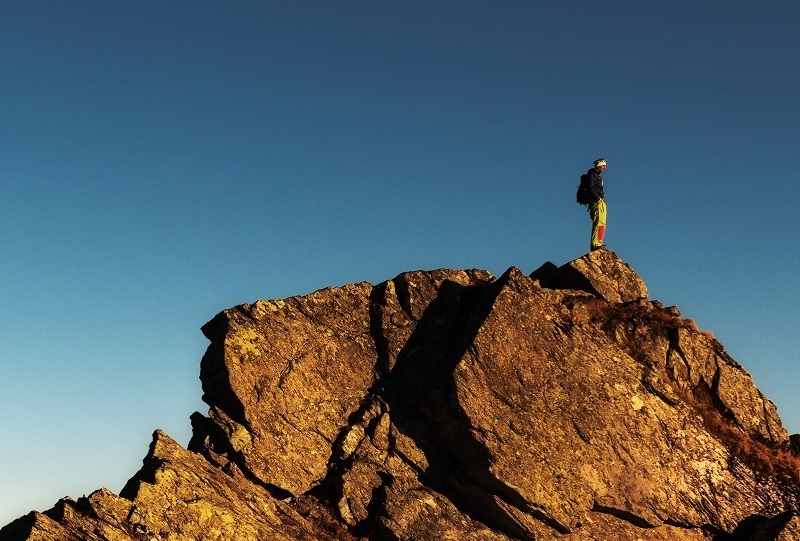 By April 22, Submit a report via email that shows your ability (a) to see patterns of Earth science outside in Salt Lake County and (b) recognize age relationships (younger than / older than). Must be able to be opened in Adobe Acrobat (pdf) or Microsoft word formats. Email by April 22 to genevieveatwood@comcast.net as an attachment. Seven images of the places (above) with captions. Caption: For each image, recognize patterns of Earth materials. For each image recognize at least one contrast of relative age. For each image, write a caption that states the contrast of relative ages ( that something is younger than / older than something else). AND, for each image, state your logic for inferring what is older and what is younger. Your evidence will be: superposition (younger is on top of older); cross-cutting (younger cuts older); or tilted versus not tilted. EXAMPLE: We’ve done “A” Warm Springs. (Below) is an image and a caption. It’s Okay that your use it. Even better, use your own image and relationship. For example, if you took a picture of the springs: the springs are younger than the gray bedrock because the springs cut the bedrock. EXAMPLE OF a CAPTION for the image of Warm Springs Park. Logic based on: Superposition; Cross-cutting relationship; Tilting of layers. Go outside with JOY and curiosity.